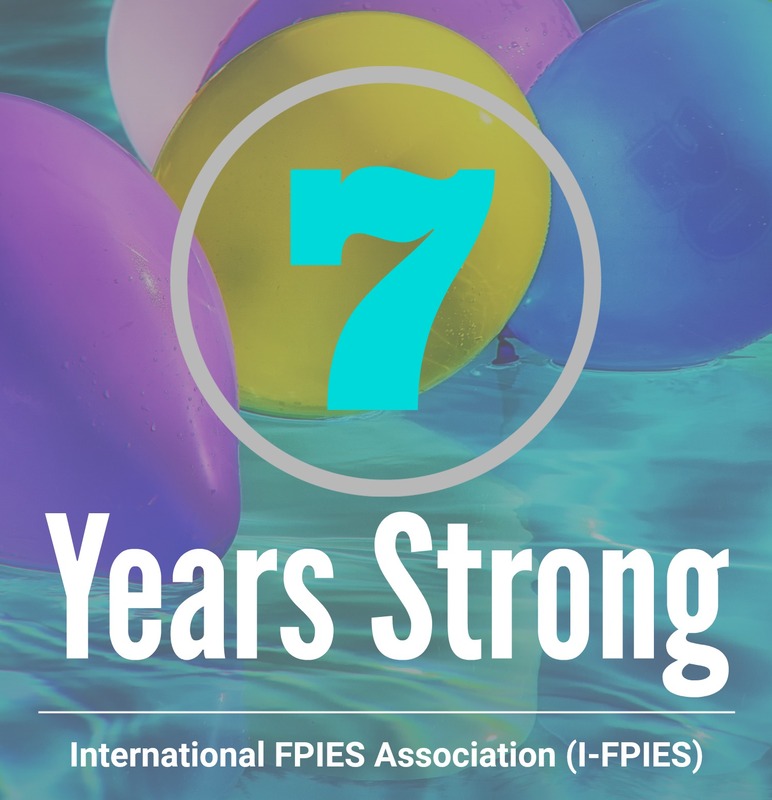 Today, the International FPIES Association (I-FPIES) marks our 7th anniversary. When our organization was founded, FPIES was an invisible condition. Since then, significant progress has been made on every front in advancing FPIES, from awareness and support to advocacy and scientific research. Working together, our dedicated volunteers and medical advisors have brought about major change and created hope for patients with FPIES and their families. Every year, medical providers are becoming more educated on how to diagnose and manage FPIES. Last fall, we sent out more than 2,000 brochures targeted at every pediatric allergist and pediatric gastroenterologist across the United States. This brochure outlines the new international consensus guidelines for the diagnosis and management of FPIES. In the spring, I-FPIES medical advisors recorded an FPIES Guidelines Webinar that is now available at AAAAI’s Continuing Education Center. In this new FPIES education opportunity, medical providers can learn how to put the guidelines into practice for the diagnosis and management of FPIES. Please share these course details with your medical team: https://education.aaaai.org/rsl/18IFPIES. In March, I-FPIES medical advisors also presented a course on the Comprehensive Management of FPIES at the AAAAI Annual Meeting / World Allergy Congress (WAC) 2018 in Orlando, FL. The special session discussed the practical management of FPIES in the allergy office. It also described acute, chronic and atypical FPIES in childhood and FPIES presentation in adults. On May 4th, the FPIES community marked our 4th National FPIES Awareness Day. I-FPIES is grateful to everyone who offered a personal glimpse of the FPIES journey, who shared resources to increase awareness and education, who generously supported the work we do, and more. Together, we reached nearly 100,000 people and put a spotlight on this poorly understood condition! On August 4th, we hosted our third FPIES Education Conference in Philadelphia, which included 25 presentations and breakout sessions on topics ranging from the latest research to practical management of FPIES. What a remarkable day of learning, connections, and hope. Thanks to our attendees and expert speakers, our host Children’s Hospital of Philadelphia, and our educational partners for making the conference possible. I-FPIES is also continuing to fund a groundbreaking research study on the genetics and pathophysiology of FPIES. 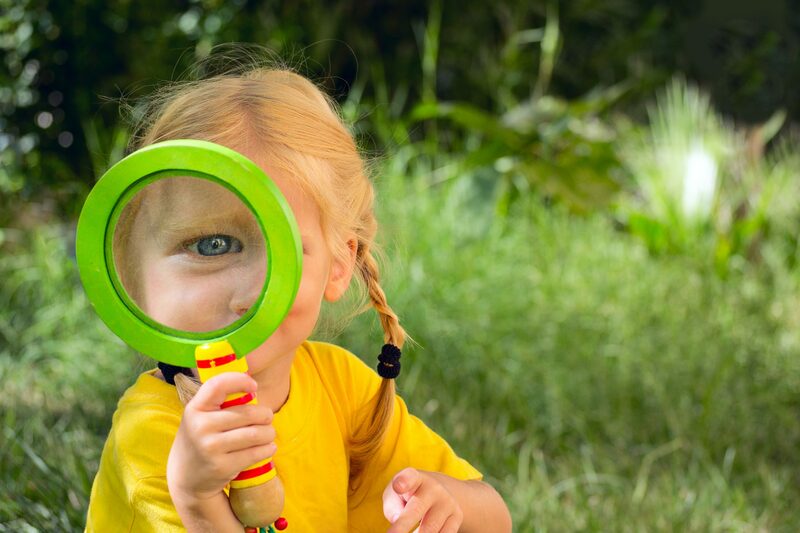 Led by the Bambino Gesù Hospital and the Children’s Hospital of Philadelphia (CHOP), this study is crucial to develop specific therapeutic strategies for the condition, and we can’t wait to share the results with you! And big things are ahead! In October, I-FPIES Founder & President Fallon Schultz will be attending the upcoming Food Allergy and Anaphylaxis Meeting (FAAM 2018) in Copenhagen, Denmark. Hosted by the European Academy of Allergy & Clinical Immunology, we are honored to represent FPIES at this meeting on global food allergy issues and policies. In addition, we are thrilled to announce the upcoming publication of three major papers focused on the prevalence of FPIES. We have been working with I-FPIES medical advisors to establish just how common FPIES is, and these publications will break new ground in advancing the disorder. The answers are coming — and we need your help to get there! I-FPIES is a volunteer-run organization that has been supporting FPIES families for the past seven years. 100% of every dollar we raise goes to projects that are improving the lives of FPIES patients and families. Please consider making a donation to help mark this anniversary. Together, we can fight FPIES and unlock its mysteries! The coming year promises to be another breakthrough year in the history of FPIES. Stay tuned! Next Next post: $7 Million Match for #GivingTuesday on 11/27!